Phone designers have raced for many years to come up with more and more features, connecting with just about anything that emits… These features are designed to differentiate one product from another, but are they? They likely confuse more than anything else. When was the last time you used NFC on your phone? “Tacking features on to products makes them harder to use” say Roland T. Rust, Debora Viana Thompson and Rebecca Hamilton (Harvard Business Review), in part because we have to learn and remember where to find and how to use these features. 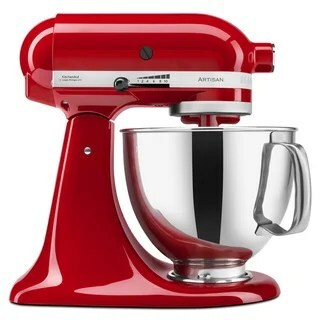 To me, the traditional KitchenAid stand mixer (see photo) is the ultimate response to “feature bloat”. The current mixer was designed in 1949 and has not changed much since. It has only two main controls (lock or lift and speed) and a few attachments. In 1997 the San Francisco Museum of Modern Art selected it as an icon of American design. Icons that embody the prime characteristics of a brand or product are memorable and instantly identifiable on the shelf or online. We are both culturally and biologically programmed to gravitate toward those things that we recognize. They give us a feeling of comfort and security. This entry was posted in Products, Society and tagged bloat, brand, capability, features, Kitchenaid, marketing, need, product, simplicity, usability. Bookmark the permalink.